Well brand new customer, ask me again in six months ! Yes, I am happy with the service. The guys who service my yard and bushes are very professional and do a very good job. Good service for many years. No problems. Best yard care service I have used. So far, so good. We are new to your company. Looking forward to having a good relationship. My weeds are almost gone. I have used Zoysia Green for more than 4 years and never once have I ever considered changing companies. Our lawn is one of the best looking lawns in our neighborhood. 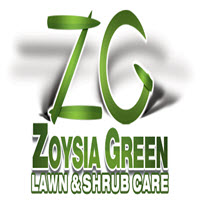 Zoysia Green has quickly responded to any request that I have made. I have recommended Zoysia Green to many of our neighbors. First application and it does look greener. We wanted to speak with the service person about the several dead grass patches but he had finished and left before we able to speak with him. Much better than the service that was replaced. I’m happy. Isn’t that enough? So far I am satisfied with ZG service. However, it would be nice if on the emailed invoiced it stated exactly what treatments were applied when they came. Thanks are looking good,Well it help to have Black Cal. To sol. Ck around n notice places he needs take care of. You were just here a week or so ago. Courteous and competent employees! Only disappointment was the amount of the "spikey" grass whatever it is called that is still flourishing. Can you help?? Iwould like to have my lawn look better or as good as my neighbors..canyou make reccomendations. Always in time and the yard looks great! Very pleased . My grass looks better than my neighbors so you are doing something right!! 1191 Isle of Palms Path. I'm satisfied with your service. The only thing I'm not sure of if your spraying for bugs and insects.I get infested with real small red ants at times and some other small insects. I wasn't sure if that is in my contract or not. Thanks so much for always coming on little notice. Needed someone to take care of yard and plants. These guys were quick to respond and a pleasure to do business with. After 1st Treatment's we are happy. Will see again in about 3 months. Great Lawn care provided by Zoysia. We will be here a year on April 6th. Your technicians have been great and very helpful to us in our first year. Shanda in the office is great! Thank you to each and everyone that has been to our house. Each and everyone of you deserve a pat on the back for a job well done and great customer service. Yours truly, Ed and Lois. MY LAST HOUSE AT 682 IVA PLACE WAS VERY GOOD. MY NEW HOUSE AT 1806 LA PINTA PL IS YET TO BE SEEN FOR RESULTS IN 4 MONTHS BUT GROWING SEASON IS JUST BEGINNING. Yes, I am very happy with my service. I find that Oreo does a great job. If I call him, He always has an answer for me or stops by. He is very knowledge. Dot Butler. Service was prompt, only been one week so we will see what happens. Thanks for asking. Over all very nice job. We have used your service for more than seven years after we tried three other companies. Happy to say we have never considered leaving your company. You have never missed a single rotation and have kept our yard free of weeds, damaging harmful bugs, and have kept just the right amount of fertilizer on our lawn so that we have the greenest yard on the street. Thank you for your service. Nancy Boe. I am new to Zoysia Green, but am very pleased with them so far. The technicians not only sprayed the lawn and shrubs as agreed, but they took the time to talk to me about the proper care of my landscaping ... when to water, how much, etc. They strive to make your lawn look as nice as if it was theirs. And they do all this for a very reasonable and fair cost. I highly recommend them.